Recently Xiaomi officially confirmed the form factor of the next generation of the frameless Mi Mix. To maximize the useful area of the front panel, the Chinese company decided to use a retractable front camera. A similar system recently proposed OPPO in Find X, but in the version from Xiaomi there will be no automation. This is evidenced by the video published in social networks with Mi Mix 3 in the main role. He demonstrates the mechanism of the slider to activate the self-camera, and also confirms the close to the absolute area of the front panel. In addition, today the official Xiaomi account hurried to please fans with the successful passing of 5G testing to Mi Mix 3. 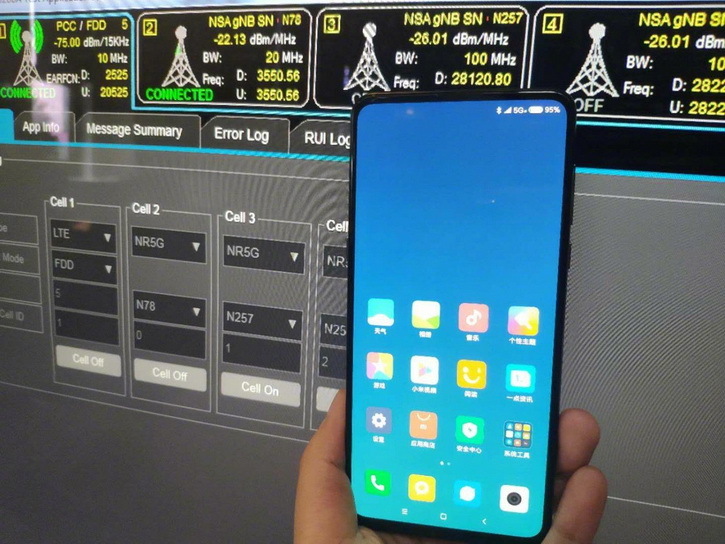 This will prepare the smartphone for the debut of the next generation of Internet connection in the next year (it is not yet clear whether a separate 5G-modification will be presented, or the standard “mix” will support this possibility). The official announcement of the smartphone will be held in October.